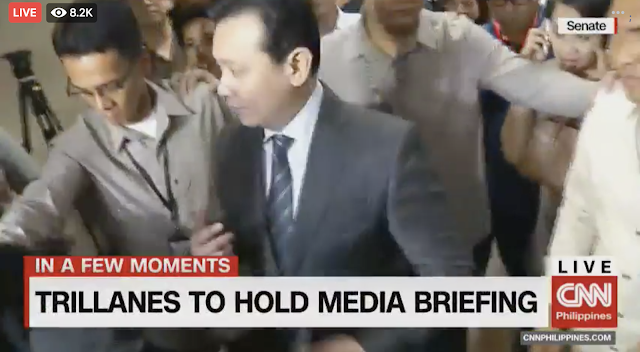 Drama at the senate continues. 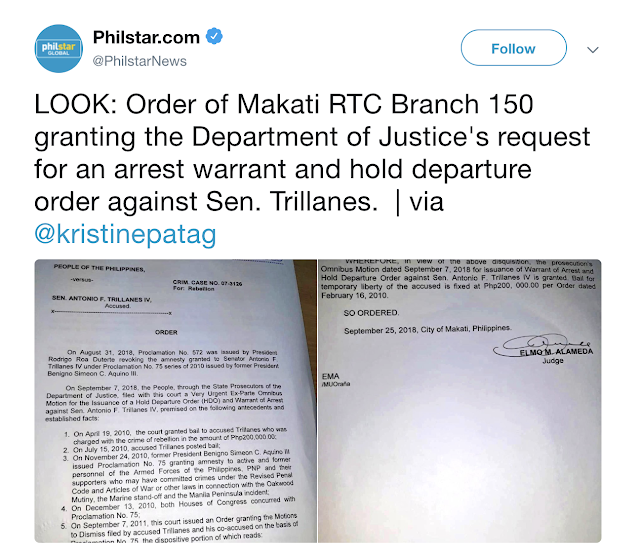 As of this writing, news reports say that officials from the Makati Police, together with the Court Sherif of Makati RTC branch 150 are now on their way to senate to execute the warrant of arrest issued by the court against Antonio Trillanes. The court has also issued a hold departure order against Trillanes. 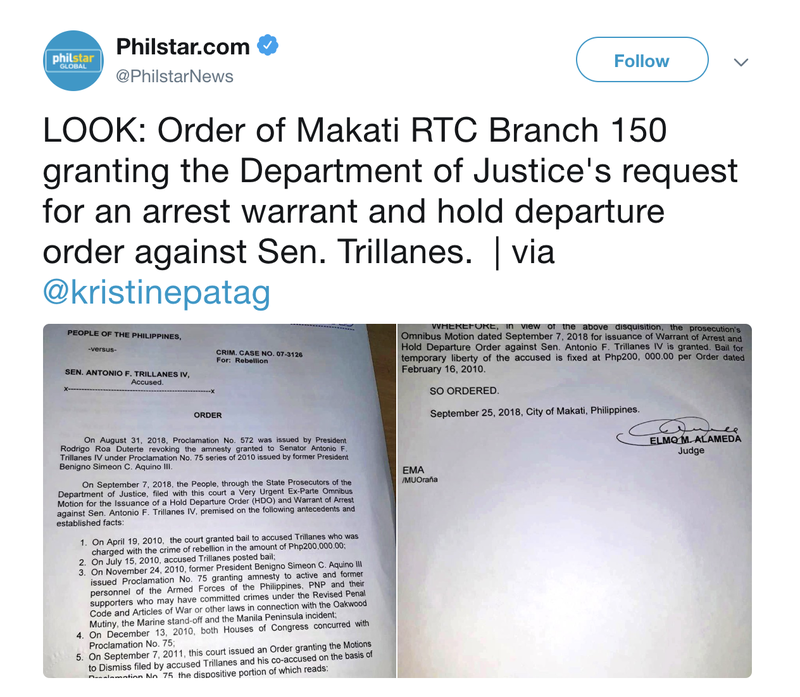 In their four-page “Very Urgent Ex-Parte Omnibus Motion for the Issuance of a Hold Departure Order and Warrant of Arrest" filed before Makati RTC Branch 150, the prosecutors pointed out that Trillanes posted bail on the rebellion case on July 15, 2010.